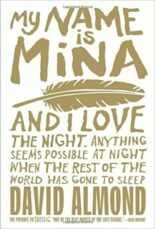 David Almond is the author of Skellig, My Name is Mina, The Savage, The Tightrope Walkers, A Song for Ella Grey, The Tale of Angelino Brown and many other novels, stories, picture books, songs, opera librettos and plays. His work is translated into 40 languages, and is widely adapted for stage and screen. 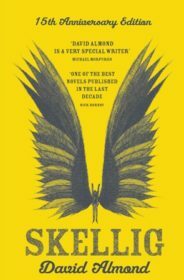 His major awards include The Carnegie Medal, two Whitbread Awards, The Eleanor Farjeon Award, The Michael L Printz Award (USA), Le Prix Sorcieres (France) and The Guardian Children’s Fiction Prize. 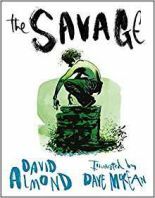 In 2010 he won the Hans Christian Andersen Award, the world’s most prestigious prize for children’ authors. He is Professor of Creative Writing at Bath Spa University and lives in Newcastle upon Tyne. 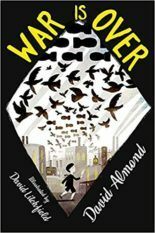 David had two books published in 2018, The Dam (Walker Studio, September 2018) and War is Over (Hodder Children’s Books, November 2018).